This morning my Copan Ruinas companion and I took a short walk down a few Cobblestone streets and had a walk through some Mayan history. 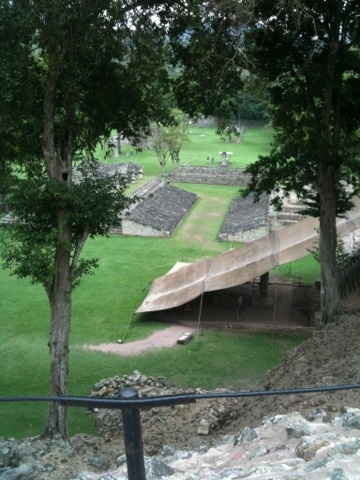 Copan was the Mayan’s southern-most city. 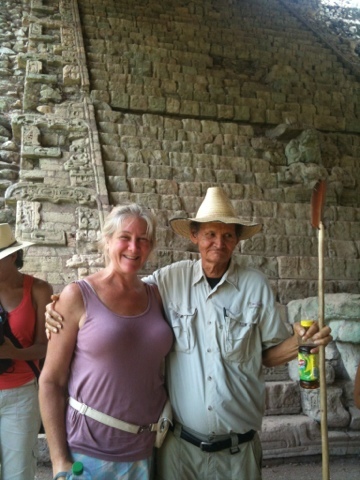 Our guide, Antonio, at 75 is the most knowledgable of all guides one can wish for. We had an amazing day. More later, photos below. Down the road 2k you can visit the ruins of actual homes. There are three sections: the wealthy, the Scribes, and the rest of the people. Having heard how amazingly enlightened the Maya were for all these years, it was a reality check to learn that not everyone was educated and that there were definitely classes. 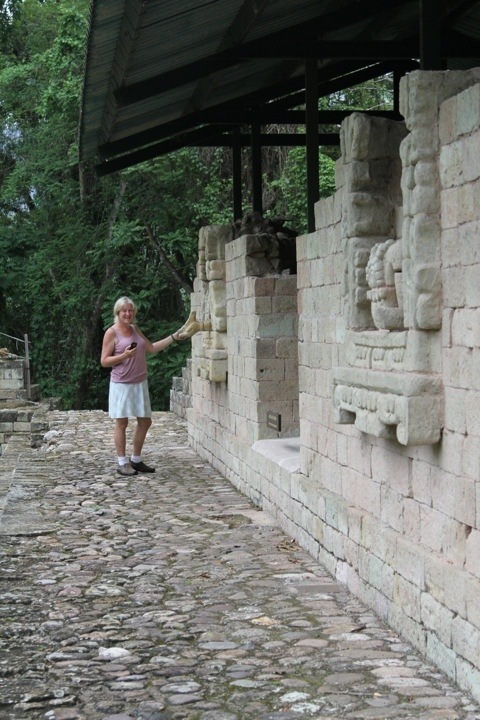 This is me in section of the Mayan Ruins in Copan Ruinas, Honduras where the scribes lived. I am shaking hands with a fellow scribe. Well, the depiction of one. On the way we stopped at a local outdoor restaurant for a $1 breakfast. En route we also met a woman named Cristsal, then a woman from Canada. 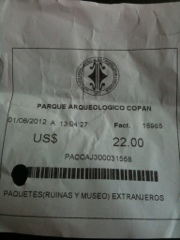 We got a few more people to join our guide group — it was $25 for up to 9 people so we each chipped in $4.